Stroke is a serious health event in which interrupted blood supply to the brain impacts the functional status and life quality of the patient. The largest ever study regarding the risk of this condition has turned up more relevant genetic factors than before. This project, known as the MEGASTROKE initiative, gathered data from over 520,000 people. The research identified a number of discrete loci within the genome that undergo variation to affect the risk of stroke. In addition, it determined that the number of these loci was 32, which was three times the number prior the project. 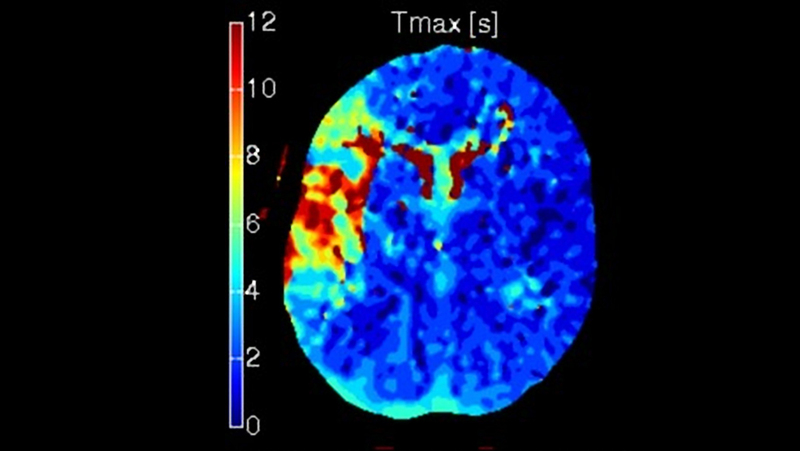 This study could also provide information about the future of stroke treatment and prevention. These results were recently published in Nature. Stroke is a condition associated with oxygen deprivation within brain tissues as a result of a blockage in an important artery. Alternatively, it may be related to brain bleeds, i.e., when a weak area (an aneurysm) in a blood vessel bursts. Strokes may be fatal in some cases, and sometimes, result in neurological defects and disorders. These effects may persist and require rehabilitative therapy. This condition could also associated be with a number of risk factors including lifestyle choices such as smoking or alcohol abuse. However, genetic predisposition is a prominent factor that determines the likelihood of an individual getting a stroke attack once in their life. Scientists believe that a greater understanding of all risk factors for stroke will enhance preventative and screening measures used by clinicians. To this end, a number of studies have been conducted in the past. Some of these have investigated the prevalence and incidence of stroke against factors such as potential or confirmed 'risky' genes. For example, the International Stroke Genetics Consortium (ISGC) paper resulted in the discovery of a variation in the HDAC9 gene associated with stroke, related to large-vessel obstruction. However, these studies have occasionally been criticized as being limited, in their participant numbers, or due to the demographics (e.g. being from just one country or age group). Therefore, it is possible the studies may not represent the entire population that could be affected by stroke. The MEGASTROKE study included data from approximately half a million people. The information was contributed to by medical researchers working at institutions in Europe, North America, Australia and Asia, such as Japan and India. The experiment spanned approximately 10 years and took into account the data of 61,000 patients. The remainder of the participants acted as controls. There are a number of points or loci in the human genome known to experience variations that lead to increased stroke risk. Before results of the MEGASTROKE project were published, the loci number was 10. However, the paper in Nature reported that it could add 22 new ones, making a total of 32. Alarmingly, half of the new loci found as a result of the MEGASTROKE analysis did not have any established role in modern-day stroke pathophysiology. This observation suggests that the area of study either had sizeable holes in it or included mechanisms that haven't been discovered yet. The remaining loci also intersected with other potentially pathological features of the cardiovascular system. These included blood pressure, cardiac health and the susceptibility to venous thromboembolism (VTE) development. Now, VTE is a condition in which large, obstructive blood clots form in important veins, thus increasing the risk of body tissues becoming deprived of oxygen. Therefore, it may lead to a high risk of certain stroke subtypes. When the MEGASTROKE team compared the loci to those associated with the response to anti-VTE treatments, they discovered a significant overlap between the two. The researchers also reported that several other points correlated with specific stroke subtypes and their development. This analysis was completed using a form of statistical regression known as score-linkage-disequilibrium, as well as genetic risk score analysis, to define a significant association with loci. The team also applied bioinformatics using existing datasets to assess the relationship between stroke loci and treatment for VTE. The MEGASTROKE study is the largest and possibly most extensive study of genetic risk factors for stroke, to date. Evidence proves that the etiology and pathophysiology of the condition has a greater depth and breadth than previously understood. However, it may also indicate that anti-thrombotic therapy may be effective in the prevention or treatment of some types of stroke. It also highlights the roles that changes in blood pressure and overall cardiovascular health may play in determining stroke risks. The results of this major project imply a number of future directions in the study of strokes. They could potentially include individual analysis into each one of the 22 'risky' loci. Medical researchers could indulge in a complete re-assessment of the mechanisms that cause this condition. Malik R, Chauhan G, Traylor M, Sargurupremraj M, Okada Y, Mishra A, et al. Multiancestry genome-wide association study of 520,000 subjects identifies 32 loci associated with stroke and stroke subtypes. Nature Genetics. 2018. The International Stroke Genetics C, the Wellcome Trust Case Control C, Bellenguez C, Bevan S, Gschwendtner A, Spencer CCA, et al. Genome-wide association study identifies a variant in HDAC9 associated with large vessel ischemic stroke. Nature Genetics. 2012;44:328. Kilarski LL, Achterberg S, Devan WJ, Traylor M, Malik R, Lindgren A, et al. Meta-analysis in more than 17,900 cases of ischemic stroke reveals a novel association at 12q24.12. Neurology. 2014;83(8):678-85.